Experience the City of Angels, your Bangkok shore excursion to the Venice of East and the Grand Palace will transport you along this fascinating city's canals and river to visit the Temple of Dawn, and then, enjoy a delicious lunch at the Supatra River House Restaurant before continuing to the Grand Palace. 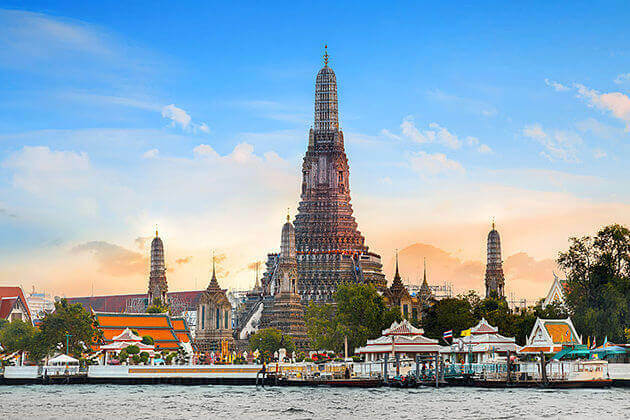 After pickup from Laemchabang port by your local guide and driver, get comfortable in an air-conditioned vehicle for a scenic ride to the Temple of Dawn which known as Wat Arun in Thailand. 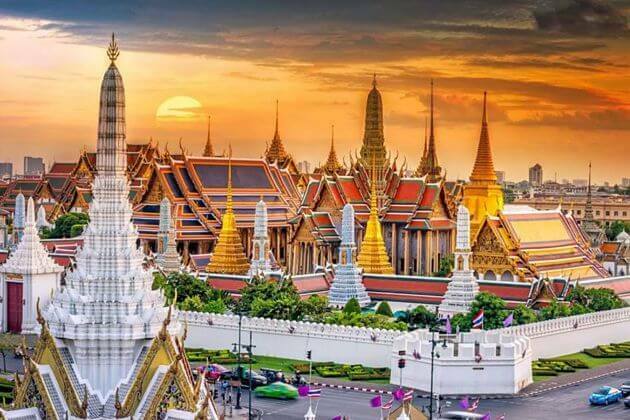 It is considered one of the most stunning temples in Bangkok, not only because of its riverside location but also because the design is very different to the other temples you can visit in Bangkok. Instead of gilded by ‘jewels’ like the other temples in Thailand, this amazing historical temple is richly decorated intricately with porcelain and statuesque architecture. The spire on the bank of Chao Phraya River is one of Bangkok’s world-famous landmarks. With the height of over 70 meters, stunning decorated with little pieces of colorful glass and traditional Chinese porcelain attached to create many intricate patterns. 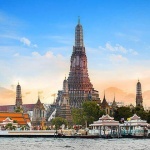 Climb the central prang, when reaching the highest point, you can see the panoramic view of winding Chao Phraya River, the Grand Palace, and Wat Pho opposite. 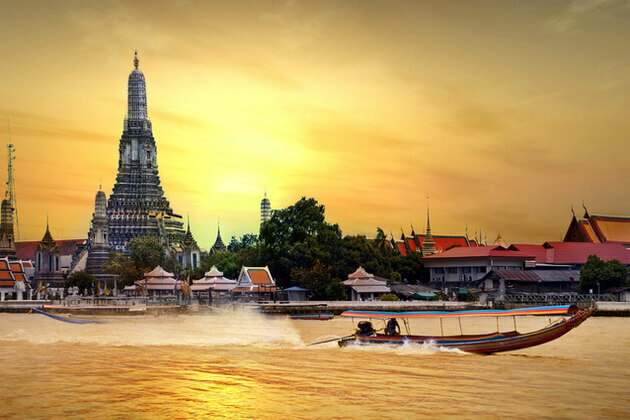 Despite being popular, Wat Arun is still a sacred place of religion for Buddhists. Head into the ordination hall and you can admire a golden Buddha image and the detailed murals that decorate the walls. Although Wat Arun is very popular for tourists, it is also an important place of worship for Buddhists. Head into the ordination hall and you can admire a golden Buddha image and the detailed murals that decorate the walls. 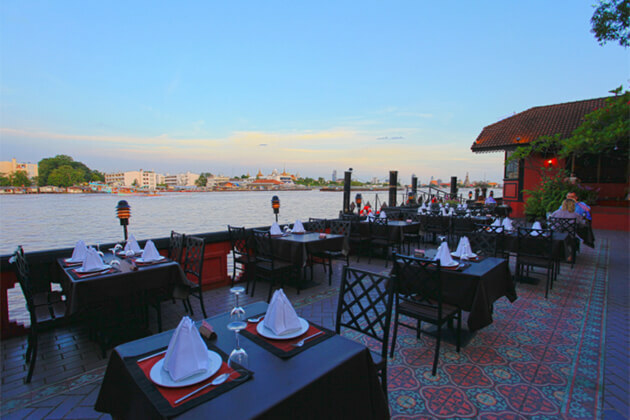 After experiencing the busy roads of Bangkok and winding through some narrow streets, you will amaze at the sumptuous Supatra River House Restaurant where you have a perfect meal with seeing the waves crashing through the large French window. One has a choice of dining al fresco or within a house like dining area which spoke of elegance and a calm and peaceful spirit. The beautiful orchids that were so ubiquitous in the place added to the magic of this experience. 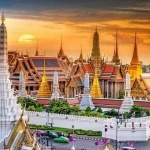 The Bangkok trip will not complete without a visit to the gorgeous and spectacular Grand Palace, the most attractive spot of the city, and also the spiritual soul of the country. Built-in 1782 – and for 150 years the home of the Thai King, the Royal court and the administrative seat of government – the Grand Palace of Bangkok is a grand old dame indeed, that continues to have visitors in awe with its beautiful architecture and intricate detail, all of which is a proud salute to the creativity and craftsmanship of Thai people. Within its walls were also the Thai war ministry, state departments, and even the mint. In the complex, there are a variety of fascinated buildings. 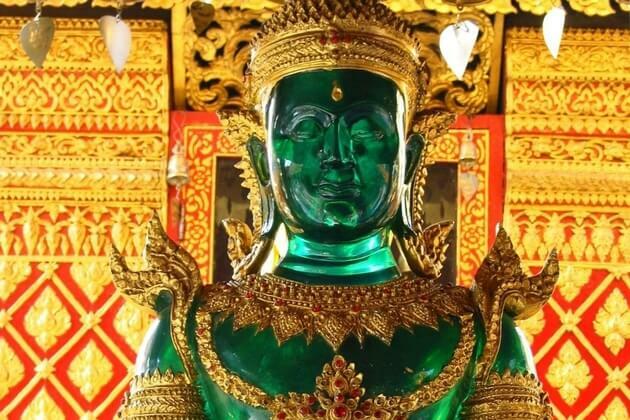 One of the most attractive is the Wat Phra Kaew, known as the Temple of the Emerald Buddha, which contains the revered Emerald Buddha that exists since the 14th century. The Grand Palace is Thailand’s most sacred site. You must be properly dressed before being allowed entry to the temple. Men must wear long pants and shirts with sleeves, and women must cover their shoulders and wear long dress or pants, too. Your Bangkok trip finishes by being transferred to port. We are arriving on the Holland America Volendam on January 20, 2018. We would lime to see reclining buddha, grand palace, maybe a boat ride, maybe see tigers. We can do a 10-hour tour. There are just two of us. Can something be arranged? Thank you for letting us know your travel plan. 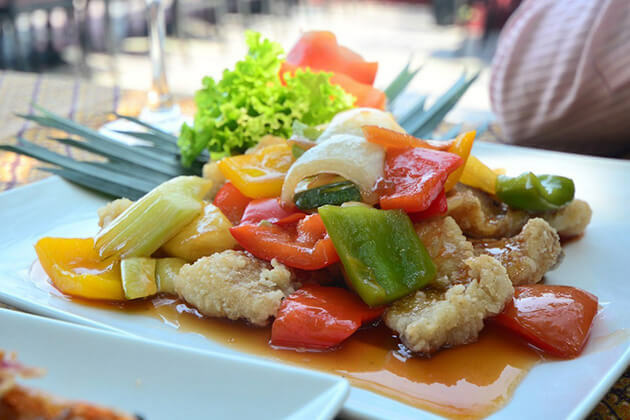 The detailed quotation on Bangkok shore trip has been sent to your email address. Please check it and let me know if you have any other enquiries. departing the next day at 5:00 PM. Docking in the city. Looking for an all day private cruise for one day and something different the next. Thanks for your comment on Bangkok shore excursions. Please check your email for the detailed itinerary. We are arriving in Bangkok 1/20/19, departing 1/21/19. We would like an all day tour including grand palace, reclining Buddha, a boat trip and the Siam Niramit show. The ship is the Westerdam, the port is Laem Chabang. Thanks for your request on Bangkok shore excursions. Please check your email for the detailed quotation and itinerary including your picked attractions. Thanks for reaching to us. 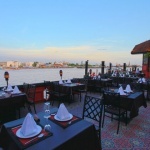 We have a lot of ready-made itineraries on the website that include a visit to Grand Palace and Wat Arun. Please check your email for the detailed quotation and suggested itinerary for Bangkok shore excursion. We arrive in Laemchabang on march 6th with Celebrity Cruises. We are a party of 3 whishing to visit interesting places in Bangkok as f.e. Floating markets, the Grand Palace, Wat Phra Kaew, local streetlife and make use of longtail boat (Klong Ong Ang/Banglamphoo) and tuktuk. Time of Arrival is forenseen 7am and we are sailing Again march 7th 6pm. Can you make us a proposal please? Pick-up and drop off at ship included. Thank you for sharing your traveling plan with us. Please check your email for the detailed quotation and itinerary, and freely ask us any other question. We are arriving in Bangkok on March 7th aboard the Norwegian Jewel, departing on March 8th. What tours do you recommend during this time period? Thanks for reaching to us. 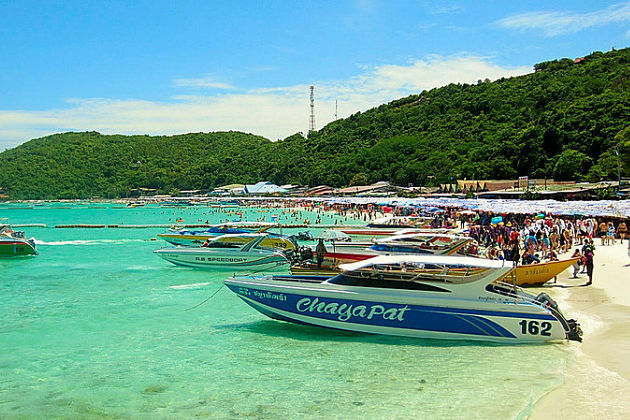 Please check your email for the detailed itinerary for Bangkok shore excursions from Laem Chabang cruise port.